For now, none of the potential lenders has stepped up since a statement at a Feb. 11 EU summit promised “determined and coordinated action” to support Greece. 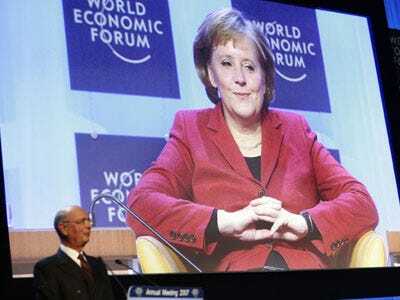 “I expressly want to say that Friday isn’t about aid commitments, but about good relations between Germany and Greece,” Merkel said yesterday in an interview with N-TV, according to a transcript provided by her office. Greece’s steps are “an important signal” toward restoring confidence in the euro. Thus it’s far from over for Mr. Papandreou, it remains to be seen if Greece can actually implement the spending cuts it has announced. Barring a sudden flash crisis, European nations will likely let this play out before committing actual financial support.